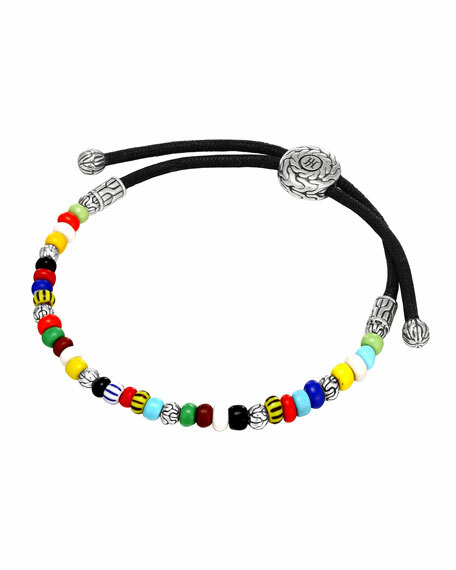 John Hardy multicolor beaded bracelet. Sterling silver stations with signature John Hardy textures. Round logo clasp; adjustable length. Please note: Bead colors may vary slightly. For in-store inquiries, use sku #1979836.